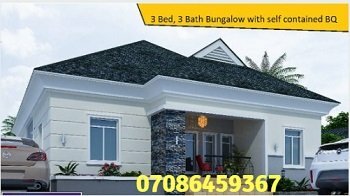 Building construction is everyone's business in Nigeria because most people prefer to build their home themselves rather than employ the services of a construction professionals. Consequently, virtually everyone has turned expert home builder overnight even though most know little or nothing about professional home construction. Collapsed buildings here and there. In fact, news report of collapsed buildings have become a common tale in Lagos Nigeria and, indeed, in many parts of Nigeria. The reason is obvious - we have many quacks in the industry posing as home construction experts. I will tell you this . . . and please listen carefully. Home building is serious business. As a matter of fact, your investment in home building is about the most capital intensive investment you will ever make. The good news is that a building is built to outlive its builders. But that will only happen if you build right. Here are a few tips to help you build homes that last . . . homes that will bring you fame and honor. 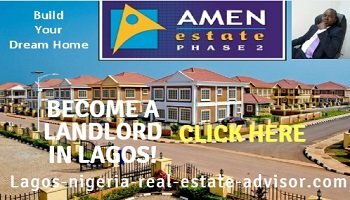 Most people in Lagos Nigeria don't consult professional builders when contemplating building construction and even throughout the life of the building project. That is risky. For example, in March 2009 a four storey building collapsed in Idi-araba area of Lagos state resulting in the death of about eight occupants. Several other tenants sustained serious injuries. Neighbours reported that the building was initially a bungalow but the the owner decided to add three other floors on top of the bungalow. A professional wouldn't do that without first considering the risks and then mitigating against them. So, while consulting a professional may seem expensive at the start, they save you a whole lot of expense and trouble later. Your home construction design may be flawless, but if the execution does not implement fully the design, the building may still have serious flaws. That is why you need the services of a site engineer. Workmen and mason have been known to steal materials at building construction sites. Instead of using, say, ten bags of cement for a mixture, they may use eight bags and steal two bags. Each time you come, they will tell you your materials were not sufficient to complete the different segment of the home construction. They not only steal your materials, they risk the life of your home because they fail to implement the right recipe to deliver a long last building. Build as though your home will last a thousand years. For that to happen, you know you shouldn't take short-cuts. They can be very expensive. Spend your construction funds well. Ensure the quality is right. Do it right the first time and enjoy your home for centuries . . . you and generations yet unborn. How is the topology of the land you're building on? Be mindful of erosion and build accordingly. Make provision for drainages. Allow for slopes where necessary. If the topology is such that you need to fill a gaping hole, reconsider. Perhaps you don't need to fill that gorge and incur that expense. Perhaps you can take advantage of the topology and have an underground car park or an entire floor below ground level. Or perhaps a water reservoir or a drainage system. Have more tips for cost effective home building? Post them on this site using the form below. Are you a building expert? Have building experience? Give us more building tips. Help folks avoid costly home building mistakes. Your classified ad will appear on a Web page the way you enter it here. You can wrap a word in square brackets to make it appear bold. For example [4 storey building] would show as 4 storey building on the Web page containing your story. Click the links below to get additional home construction tips. Balcony Design - How Big Should Your Verandah Be?